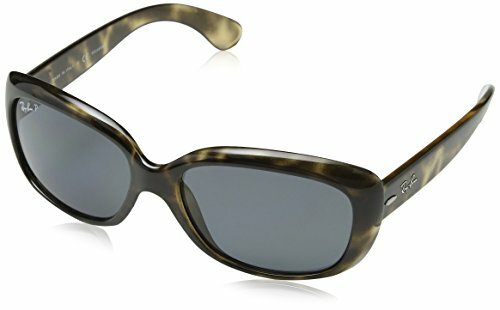 Women's HAVANA GREY rectangle plastic shape frame. With DARK GREY POLAR lenses. This style is Rx-able. Has a unique glamour look that comes in new polar gradient lenses.